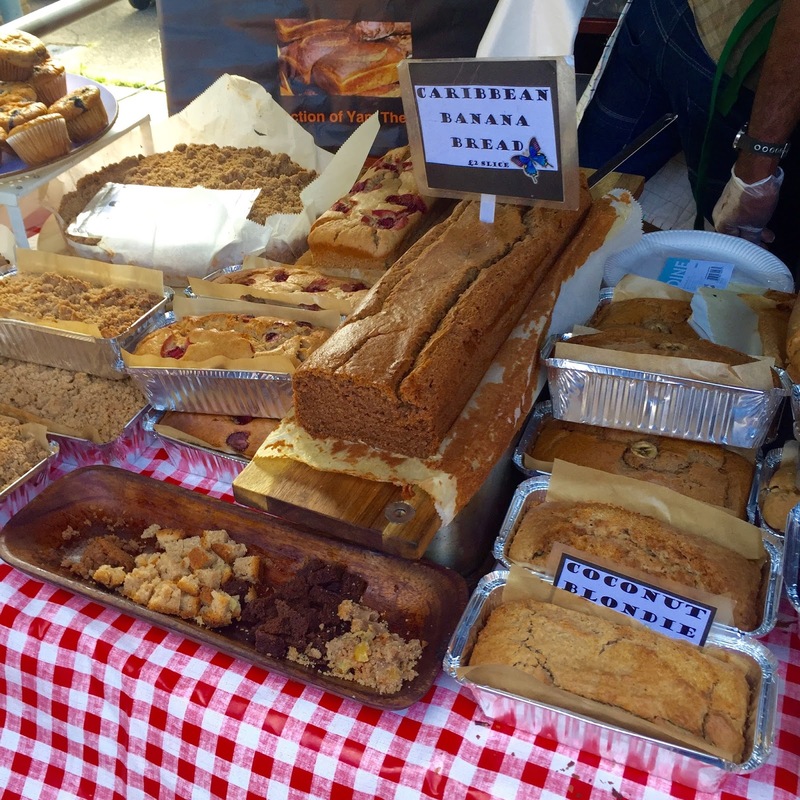 Last Saturday was a date in my diary which I had been looking forward to for quite a while as it was the arrival of Colchester Vegan Fair! As many of you will know by now I am part of the Essex Vegan community so to have an event like this arrive on our doorsteps was really quite something. I normally have to travel all around the country to visit Vegan events like this so it made a very welcomed change for one to be half an hour up the road from where I live! 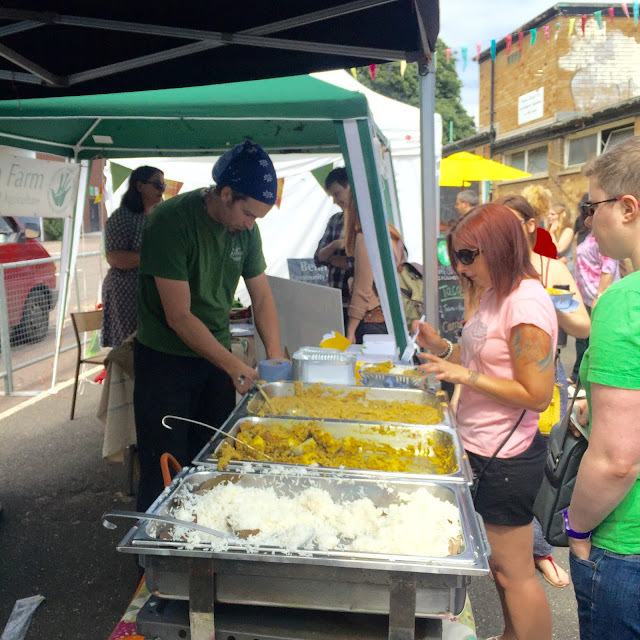 Despite it being a relatively small fair there was still plenty on offer including some amazing catering stands all offering up some delicious Vegan food. It was nice to have a walk around initially and look at everything that was on display whilst weighing up what we wanted to try! 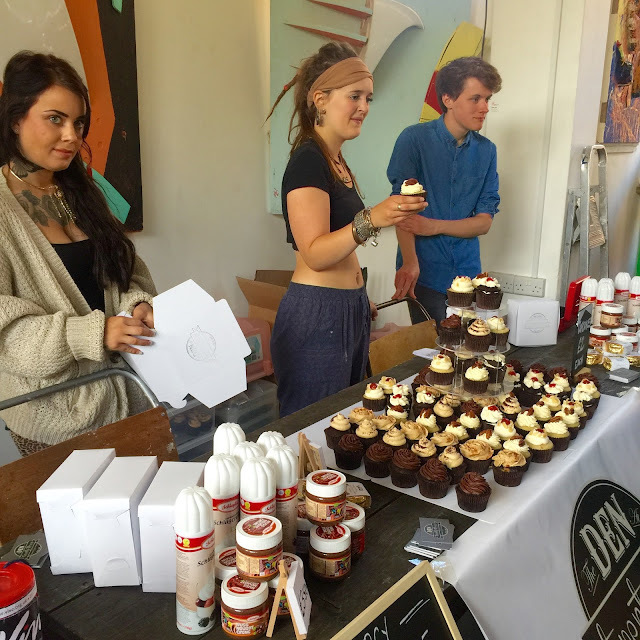 Colchester's first and only Vegan cafe, The Den at 23, had their own stand selling some of their divine Vegan cupcakes and other sweet treats. The Vegan curry stand got us really excited. It looked and smelt incredible! We decided to get some to take away with us and to enjoy once we got home that evening. This cake stand was pretty impressive with so much choice. My husband couldn't resist taking a huge slab of this banana bread home with us which he demolished pretty quickly! 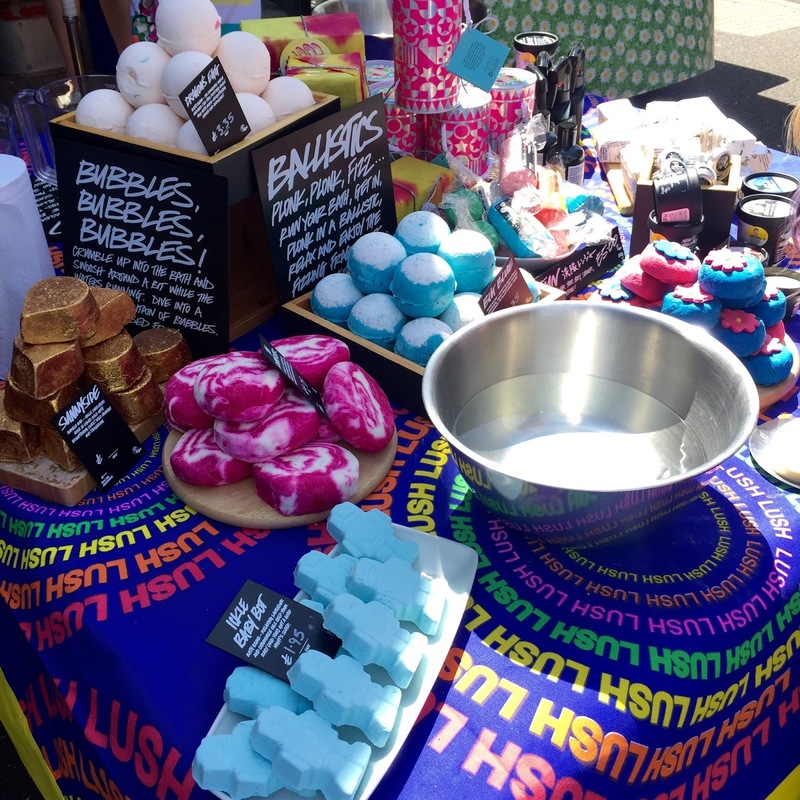 It was also great to see a big brand like Lush having a presence at the event selling some of their many Vegan friendly and cruelty free products. It really was so good to see just what a popular event this was with a steady and busy stream of people arriving all afternoon. 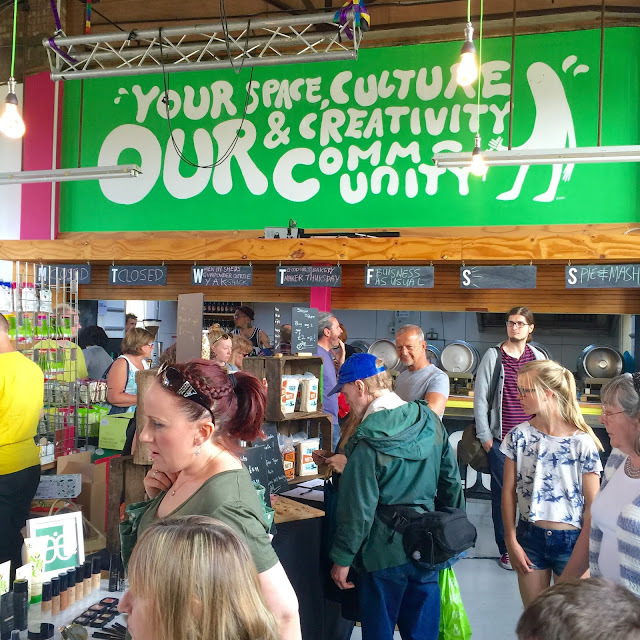 It's clear to see that Veganism is really taking off within Essex and the interest in plant based and compassionate living is growing tremendously. I think Colchester was also the perfect place to hold a Vegan fair of this kind as it's home to the wonderful Vegan cafe the Den at 23. 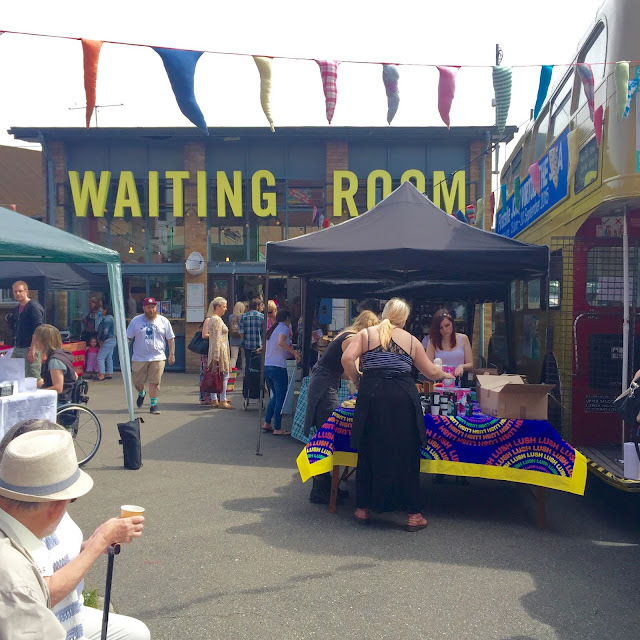 The venue for the event, The Waiting Room, also holds regular Vegan food nights which are definitely worth checking out if you're ever in town. 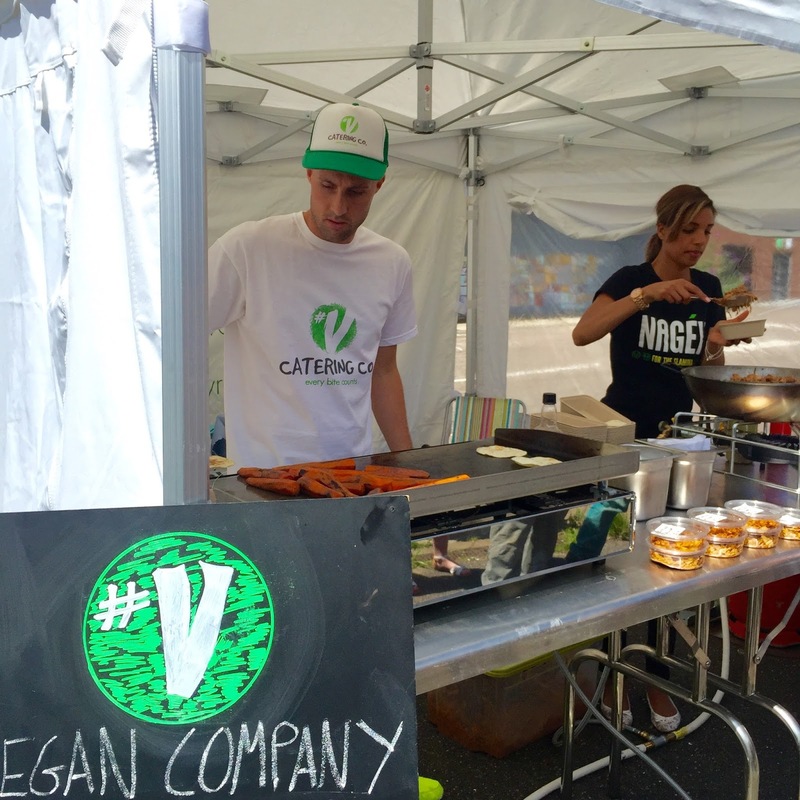 Colchester is really starting to make a name for itself on the Vegan scene! It was so lovely to sit outside in the warm sunshine, listen to the amazing beats blasting out of the sound system and enjoy some of the street food like these gorgeous little Vegan pasties which were filled with potato and soya mince. Once we sat down to eat we got chatting to so many other Essex Vegans and I even met someone new who happens to live around the corner from me! This was also my 2nd time of getting to try out some of the V Catering co's special pulled jackfruit with tacos and nachos which was really enjoyable but I am still getting my head around how I feel about eating something that resembles meat so much. Personally, I went off the look and taste of meat before going Vegetarian so as appealing as all these meat-like substitutes look, I am not 100% sure if they're really for me. It was also great to see fellow friends, Vegans and Essex ladies Jo @queeniedot and Hannah @hanelgie (above) - also joining us in October! I then had the fortune of bumping into the lovely Lauren @lowrenlowe, Jack @jhailes91 & Emma @emmajanevegan who I met at a previous Southend Animal Aid event a couple of months ago - again they're all coming to the Vegan Essex Social I am hosting so if you don't already know them get following them on Instagram and you can look forward to meeting them soon. After spending many months feeling like the only Vegan in the village its great to have finally found a group of friends who all share the same interests and passions as I do. And it's all been thanks for the power of social media - where would we be without it!? After the savoury goodies I enjoyed at the fair it was time to indulge in something sweet so I opted for one of these yummy JollyYum ice cream pots which really hit the spot on such a hot day. I'd never had one before and it was so enjoyable! What a lovely bunch of happy Essex Vegans! Later that evening at home we tucked into our Vegan curry which we had taken away with us from the fair which was such a great idea! It was heavenly and we were so pleased we didn't have to cook after a long day out. So, all in all, and as you can see, Saturday was a complete eating fest! I guess it's not often events like this come around so you have to enjoy it and make the most of it - which we certainly did! I had such a lovely day with everyone and really enjoyed it all so much. Roll on the next time!